A team of British neuroscientists have shed light on the cult-like devotion of Apple fans by revealing that images of iPhones and iPads evoke a religious response from followers. The comments arise from a BBC Three documentary, Secrets of the Superbrands, which investigates how different brands influence our lives. The show focuses on the manic scenes from a London Apple launch. After the Bishop of Buckingham admits that Apple is becoming a religion, the theory is put to the test by using an MRI scanner on the mind of an Apple fanboy when he is exposed to Apple-based stimulus. Results showed that the same part of the brain was stimulated as when people of faith are greeted by religious imagery. "The results suggested that Apple was actually stimulating the same parts of the brain as religious imagery does in people of faith." 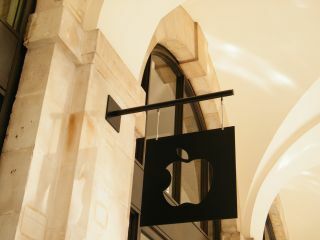 The show's producers also referred to the frenzy of an Apple launch at London's Regent's Street store as being like an "evangelical prayer meeting." Secrets of the Superbrands, which also shines the spotlight on Google, Microsoft and Nokia, can be viewed on the iPlayer for the next month.